Don't pretend your not scared. Come on. Remember a while back I told you there were Meatghost shirts on the way, and you were so excited you camped out in front of the Best Buy waiting to be the first to buy one? I didn’t have the heart to tell you they’d just be available online when they were available, and, frankly, I just found it weird and upsetting that you’d just do something like that no questions asked anyhow. Well, the Meatghost shirts are finally here! This time it’s an actual thing and not one of the countless, horrible lies I’m constantly firing off at you! Can you believe it?! I don’t want to exaggerate the power of these shirts, people, but they can stop death. I won’t get any further into that, but just know you’ll never die once you wear this shirt. I’ve said too much. The first ten million people to buy five shirts each get free nightmares about being chased by a sentient bulldozer the very night you receive your shirts. 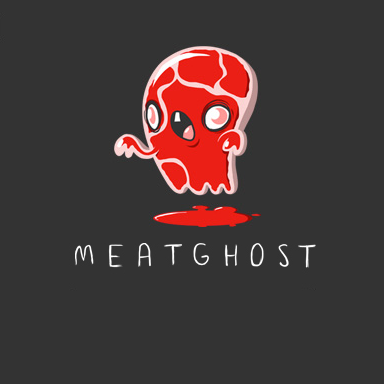 Grab your spectral meat attire over at TopatoCo now! BOooOoo! I'm a ghoOOost...made of meat, except it's pumpkin meeeeAaat. 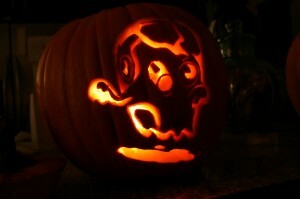 This entry was posted in fine things, works and tagged ghost, meat, meatghosts, shirts, TopatoCo on January 18, 2011 by Jhnen VEE.